Sewing is no longer the preserve of grandmothers and aunties. Young people are realizing the potential for creativity and savings involved with making their own clothes and furnishings. 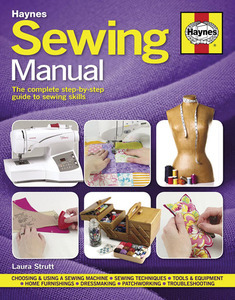 The fashion for brands like Cath Kidston and the popularity of vintage clothing and designs have led to a revival of the 'make do and mend' attitude and the Haynes Sewing Manual will have wide appeal.